Getting married in St. Thomas is romantic. Add 'The Cat' and it becomes unforgettable. Imagine your wedding day. Your family, friends all gathered together on the first day of your married lives. 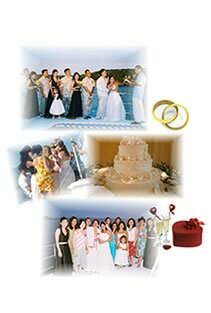 Getting married in St. Thomas is romantic, fun and easy. Picture yourself getting married on-board 'The Cat', St. Thomas's newest sailing Catamaran. St. Thomas and 'The Cat' combine to make your wedding day one of the most memorable days of your married lives. Imagine the warm Caribbean breezes caressing your private group as we lift the sails and glide effortlessly across the Caribbean Sea to your wedding destination. Your ceremony can take place on a beach, on our spacious deck or in our shaded cabin area. Conveniently departing from the Marriott Frenchman's Cove or Marriott Frenchman's Reef. 'The Cat's private weddings and parties are available for sunset sails or day sails. You may also choose to include activities such as snorkeling, power snorkeling, on-board dinner, buffet or a beach BBQ. Whatever your group would most enjoy, we will make happen. Creating memories is what we do best. 'The Cat' as a wedding venue. Capacity of 80, your special day is a breeze away. Getting married on 'The Cat' or having your wedding party is uncomplicated, fun, private and will not break your budget. With a capacity of up to 80 passengers, your special day can be the ultimate Caribbean Catamaran Wedding. How it works: 'The Cat' departs morning, afternoon or early evening for a sunset wedding. 'The Cat' sets sail, you get married, drink a little bubbly, and your new lives together begin. We can provide officiant: food, beverages, dinner, a lunch buffet, music, cake, photographer flowers, or we can simply work with you or your wedding coordinator to ensure your complete satisfaction. Pricing is based on: the length of the charter, number of passengers and your personal requirements. If you are planning a wedding in 2011, check with us to see if your date is available. For reservations click here. For inquiries click here.